Since the relatively recent discovery of CRISPR-Cas9, scientists have explored multiple uses of this new technology, from eliminating a patient’s cancer to making super plants, furthering our understanding of DNA and how it works. 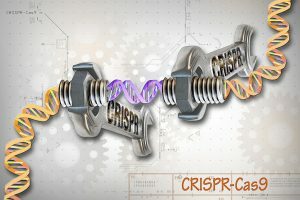 CRISPR-Cas9 has become the most advanced and efficient gene-editing tool there is. However, thus far, its use has been largely limited to silencing protein-coding genes in the DNA. This leaves out what’s called the DNA “dark matter” — the non-coding DNA that covers about 99 percent of our genetic code. That’s about to change; this article from Futurism explains how a recent study from PLOS Computational Biology is creating a new technique, based on CRISPR, but delving deeper into this unexplored territory. This brand-new software technology called CRISPETa evolved from a breakthrough tool (which uses CRISPR-Cas9) called DECKO. DECKO was designed for deleting pieces of non-coding DNA using two sgRNAs as molecular scissors. While the concept might seem simple, designing deletion experiments using DECKO was time-consuming due to the lack of software to create the required sgRNAs. The software has already demonstrated its efficiency in deleting desired targets in human cells. The research team hopes that its use will go beyond a basic research tool, and be utilized as “a powerful therapeutic to reverse disease-causing mutations,” Johnson added. Herein lies the hidden value of CRISPR-Cas9 and all further developments from it: The more we understand DNA and genomics, the better we will be able to fight diseases and other aspects of human life that cause harm, ultimately leading to a higher quality of life for all. While your sleep may occasionally be affected by a particularly stressful event, leading to irregular sleep patterns, for many, it is simply caused by the way their brains and bodies work. New research has identified for the first time eight specific genes that are linked to insomnia or excessive daytime sleepiness. 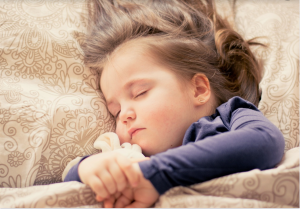 The data also revealed that some of the genes associated with disturbed sleep identified in this study seemed to be linked to certain metabolic and neuropsychiatric diseases too, like restless leg syndrome, schizophrenia, and obesity. Richa Saxena, one of the co-authors and assistant professor of anaesthesia at the Massachusetts General Hospital and Harvard medical school, explained why this research was so important: while “it was previously known that sleep disturbances may co-occur with many diseases in humans, but it was not known that there are shared genetic components that contribute both to sleep problems and these conditions.” Furthermore, while studies have previously identified genes linked to some sleep disorders, this is the first study that has specifically linked genes to insomnia. Of course, this study is not 100% conclusive- people who have trouble sleeping are not necessarily at higher risk for restless legs syndrome, schizophrenia, and obesity. In reality, it is likely that many different genes contribute to both sleep problems and these medical problems, Saxena said. But this new study does suggest that these problems share genes and underlying pathways. So what does this research do for the average person? Well, not much. Right now, it’s just fascinating news that there may be a genetic reason people with these disorders are more likely to have troubled sleep. However, there is hope that in the future researchers will be able to design and test various drugs to target these genes. This would bring immense benefits to people who struggle to keep normal sleep patterns, as well as helping individuals proactively avoid diseases they may be more at risk for (for example, obesity). Just in time for the many New Years resolutions where people promise to go on a diet to lose weight or get healthier, a new study covered by Huffingtonpost has found that the bacteria in your gut can affect the success of your diet. 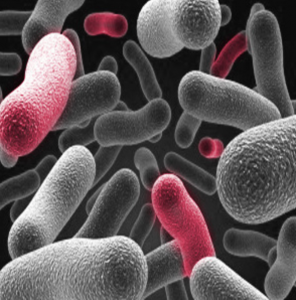 This new research has demonstrated that all the diet alterations in the world, whether you give up pizza or ice cream, may do nothing if your intestinal bacteria are out of whack from a life of eating poorly. Originally published in the journal Cell Host and Microbe, these new findings tell us that switching to a healthier diet may not help much, at least in the beginning, if you still have unhealthy bacteria left over from your non-diet days. However, according to Dr. Jeffrey Gordon, a biologist at Wash U in St. Louis and senior author of the paper, the scientific community has found a way to “mine the gut microbial communities of different humans to identify the organisms that help promote the effects of a particular diet in ways that might be beneficial.” In simpler words, research has shown that short-term dietary changes can alter the gut microbial community. In order to demonstrate these findings, the researchers examined two groups: one that ate the standard, high-calorie American diet and one that ate a more plant-based, lower calorie diet. As expected, they found that those with the standard American diet had less diverse microbiota and that people with a plant-based diet had a more diverse, and healthier, microbiome. Diversity in the gut is important because it aids digestion, nutrient absorption, and immune system function; on the flip side, an unhealthy microbiome can contribute to inflammation, anxiety, depression, poor digestion and even autoimmune diseases. The next step in the experiment involved analyzing the microbiome set-up in mice who had been colonized with bacteria from the human subject. These mice were either fed the native diet of their human donor (American or healthy), or the opposite diet. Analysis of the results revealed that all mice saw a change in their bacteria in response to the diet, but the bacteria of the American diet showed a weaker response to being changed to a plant-based diet ― their microbial communities didn’t increase and diversify as much as the mice colonized with the bacteria of the humans who ate a plant-based diet. In conclusion, your gut would definitely benefit from a diet more heavily based on plants and vegetables, but if you have been eating a very unhealthy diet thus far, it may take a little longer to see results, as the makeup of your internal microbiome has to change. While many of us heard about the existence of ALS through the ice-bucket challenge two summers ago, the intricacies and details of the disease are not as well known. A diagnosis of A.L.S. (amyotrophic lateral sclerosis), or Lou Gehrig’s disease, is devastating for the patient and his/her family. 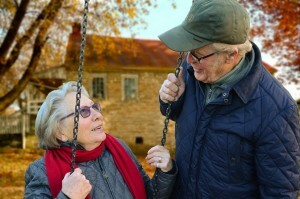 As the disease progresses, the patient will slowly lose their ability to use their muscles, until eventually, they can no longer control their own body movements. A patient with this disease often would have little hope for improvement. Recently, Hanneke De Bruijne, a doctor of internal medicine from the Netherlands who received a diagnosis of ALS in 2008, received just that: a glimmer of hope. In this article from the NY Times, Steph Yin explains the exciting technology giving this particular patient a new way to communicate. With a brain-computer interface surgically implanted into her brain, she can utilize electrical signals to type out words on a computer screen in front of her. Incredible, right? Taken by Dr. Frank Gaillard. Nick Ramsey, one of the researchers and a professor of cognitive neuroscience, has deemed this tool a “remote control in the brain.” Using the system, De Bruijne was able to type two to three words a minute, allowing her to use it in her daily life with remarkable success. What makes the system so ingenious is that while De Bruijne suffers from locked-in syndrome as a result of her ALS diagnosis, her brain still fires electrical signals when she feels the desire to move. 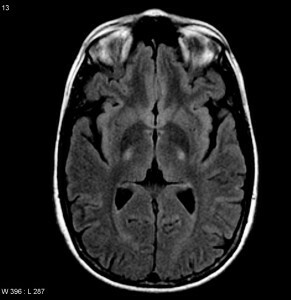 The brain implant computer system capitalizes on this, allowing her to spell out her desires with a “brain click” (thinking about the hand gesture that would click that button). While there are risks with this surgery, like any invasive procedure, the development of this new software brings hope for many ALS patients who may suffer from even more extreme locked-in syndrome, without even the ability to move their eyes. Utilizing the brain signals that still function fully allows a patient to retain control over some aspect of their life and will hopefully be able to bring light to other patients as this approach is tested further.